Tahki Yarns Zona is a bulky weight yarn that's an ideal trans-seasonal blend of cotton, wool, acrylic and nylon. The chainette construction of Zona lends itself to a lightweight yarn, while the blown in fibers create a soft halo of warmth. The unique blend of multi-colored fibers creates a finished fabric with two toned marled coloring. 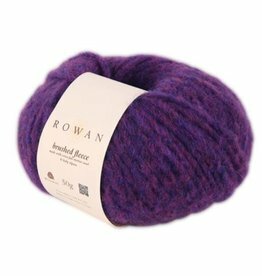 A great yarn for sweaters, hats, scarves and home accessories.